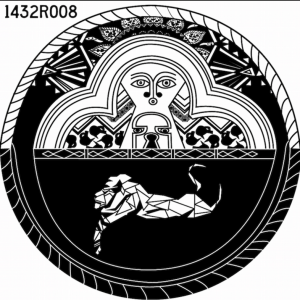 “1432R is a label based in Washington DC that has rapidly established a unique identity – super cosmic afrofuturism drips off their records and forever stains anything it reaches. This is the label’s 7th release and it’s by the mysterious E.R. (Ethiopian Records) who’s a producer based in Addis Ababa. To be honest I could have happily chosen anything from the label for this project, but I chose this one for a variety of reasons: Musically this one is completely out there… think Madlib’s craziest African explorations, but ten times more twisted; there are a nice bunch of flavours on this release which really show the label off to its fullest; the label art is extra extra dope. The artwork is always killer on 1432R releases but come on there’s a cosmic jaguar on this one. Now on to Luke’s selection. This month he’s gone for something a little less guitar-based with Darkroom’s Gravity’s Dirty Work. 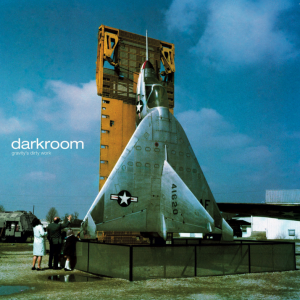 Darkroom are a two piece out of the UK who create sonic soundscapes that are perfect to turn all the lights off, lay back in a chair and get completely lost in.